Mahatma Gandhi is my lifelong (political) role model because he was a well-traveled team-builder who embraced diverse ‘religious’/philosophical views and powerfully effected change without hurting anyone through his verbal, written, and/or nonverbal language. In MD, Allan Kittleman’s father, by virtue of being the first white leader of the NAACP is admirable for bridging racial divides in highly volatile times. *Freedom at Midnight* because it chronicles the largest and minimally discussed genocide in history (over a 24-hour period), specifically the real-life mistakes made by fellow countrymen and women following the senseless partition by a colonial monarch (the same empire that colonized us, namely, Britain). To me, history matters and can teach us so much. So do personal accounts. I do believe we are the stories we share. Oral histories enrich the book and bring history to life in a global context. My second favorite is *The Argumentative Indian* by prize-winning A. Sen, which successfully shares one of the first periods of globalization–when China and India were key players and one represented the Center. It would have to be the first book I won at school for being the best student in English in Form 4 (equivalent to 9th grade), namely, *Weep Not, Child* by famous Kenyan writer Ngugi wa Thiong’O (then James Ngugi before he changed his name and started writing in his native language to embrace his cultural heritage). It’s my favorite because of three reasons: it opened my eyes to “African literature” (written in English), it was my prize (on multiple levels), and it forced me on ponder what “education” means in societies rich in community and literacy traditions, and how schooling is not the only form of education. My dear mother, for instance, was not permitted to attend “school,” yet she is the most educated person I know. Our educators are our greatest asset. No matter how great our buildings and instructional resources, without quality instruction and oversight, schooling could be minimally impactful. My father’s elementary school class, for instance, met only when the skies permitted, in a remote and rural Monsoon nation famous for its torrential downpours that still last over a week (with continuous heavy rains). That’s because the farming community ‘school’ he attended didn’t have a designated building and couldn’t afford to build one back then. They would meet under a Mahua tree in the village of Holapur, district Sultanpur in UP, and write on slates with sharpened branches of trees using “dudhiy” (an off-white paint sold in little bottles) that they washed off during breaks in the flooded sugarcane, wheat and rice fields all around them. They didn’t have books and pens and pencils, so school supplies that we get are a luxury in contrast. A budget deficit has caused the highly successful and beneficial-for-our-young-ones (who learn languages faster in pre-school and elementary) program in World languages at the pilot elem. school sites to be cut and class size increased. In my view, there is no simple or single solution to the budget challenges and at all costs, the last place we should cut funding is the classroom—by way of programs that we disband due to insufficient funding, and/or increases to class size, for instance. 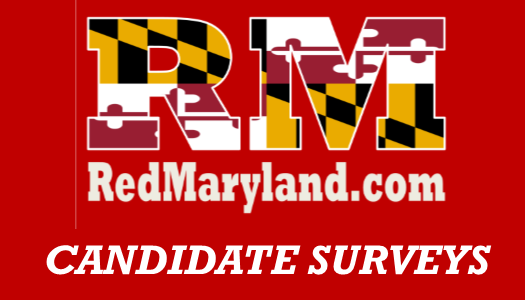 I would like to work with all stakeholders—including parents, students, teachers, other BOE employees, contractors, administrators, delegates, the local government, MSDE, and MABE–to identify viable solutions. I have already reached out to other BOE members across the State to seek their counsel on how they have attempted to deal with their budget shortfalls, and would propose a multipronged approach in consultation with multiple parties. We could attempt a number of things simultaneously. I can think of at least three possible avenues we could explore, including taking a close look at approved contracts and bids. We could even attempt to renegotiate with selected contractors to cut costs and locate community partners willing to match a portion of the estimated cost, and/or eliminate the costliest contracts. HCPSS is entitled and advised to include contingency clauses in all contracts. You’d be welcome to review the Summer 2018 PD contract that I received from the largest school district in TX, Region 10. It includes a contingency–important for all school districts. We could actively reach out to the wider community to secure needed services at no added cost or to seek additional sources of income. We could invite partial or full sponsorships for specific HCPSS projects (e.g. architectural designs, one or more tech sponsors, health and wellness sponsors; transport sponsors, and so on). I would be willing to take a look at our transportation system to identify later start times for our high schoolers, while cutting costs. The move to a three-tiered transport system in Carroll County, for instance, saved the County $1.6 million. Overcrowded schools, the prevalence of bias and cultural exclusion (for many students, particularly “special needs” and other marginalized populations, as regards instructional resources and assessments, in particular–and who would excel with dual language/immersion models), problematic resource allocation and praxis (e.g., for reading instruction), compromised quality of schooling and safety, perplexing and antagonizing approaches to redistricting and school site selection and upgrading. Yes, I like most of it in the case of my daughter’s 9th grade curriculum. She is enjoying and learning much from Humanities. My 6th grader, in contrast, has no courses that embrace cross-cultural language, literacy, music, math, and science traditions. I’d like for us to emulate Utah’s exemplary (two-way) dual language programs, which are a win-win for all students, including special needs and “ELLs” (http://utahdli.org/whyimmersion.html). We need to identify additional funding sources for our schools. In my view, as a fellow educator, I believe teachers should have some form of security or tenure, so that they can concentrate on providing the best quality instruction without worrying about job security. We should minimize testing in general, and avoid teaching to the test, yet it’s a good idea to use a standardized measure that’s been empirically tested. We should aim for small(er) class size, to provide more individualized attention. I believe the BOE should have a say in local property tax rates and in the allocation of taxes (i.e., %-age) to schools.